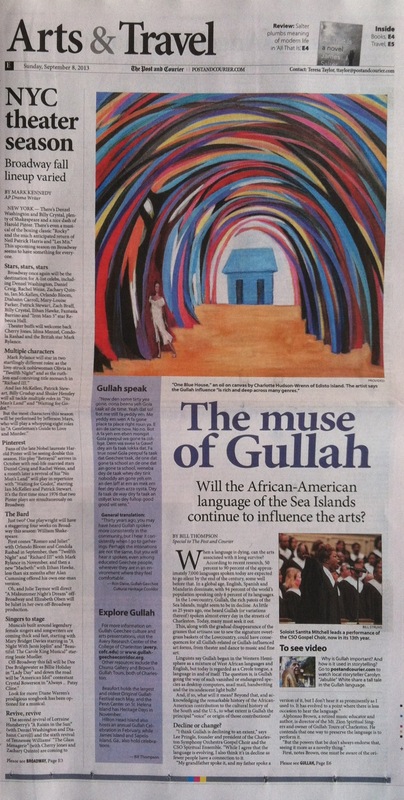 I was honored to have one of my paintings featured, with an interview, in Sunday’s Charleston Post & Courier. The link to the digital copy is HERE. yes, great-Grandpa was forbidden to speak Gullah at the supper table! OWOWWW…congrats girl!!! That’s awesome! So happy for you! Love the painting.